Variations in the brightness and color of light from stars provide the key to the detection and characterization of planets orbiting other stars. As a planet crosses the disk of its star, called a transit, it causes a tiny reduction in the amount of light from the star. This tells us the size of the planet relative to the size of the star and the time between transits gives us the planet’s orbital period. By measuring the color of the light, called a spectrum from the star and measuring pulsations of its brightness caused by waves traveling over the surface and inside the star, we can determine its size, age, temperature, and mass. From the star properties and the distance of the planet from the star we can make an estimate of the radiant heat flux at the planet. Determining the properties of a star is key to understanding the properties of the planet. We like to say that you know the planet only as well as you know the star. 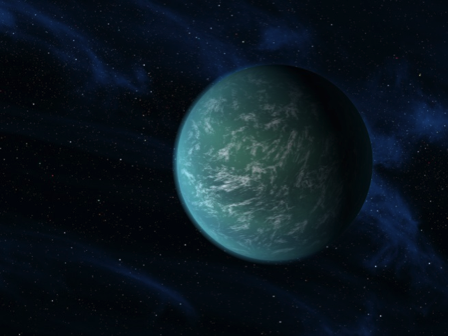 Artist conception of planet Kepler 10b. Kepler-10b is a planet 1.4 times the size of the Earth with an orbital period of 0.84 days. Its temperature of 2169 °C exceeds that of molten iron. Credit: NASA. Rocky planets with a heat flux similar to that of Earth could have conditions that allow liquid water to exist on their surfaces; i.e., they are in the habitable zone where the planet is not so hot that all the water evaporates, but not so cold that all the water is perpetually frozen. Planets with an atmosphere and with liquid water on the surface are favorable for the development of life as we know it and are prime candidates for future searches for life when more powerful telescopes become available. We also use light to measure the tiny variations of the star spectrum to estimate the masses of orbiting planets. As the planet orbits its star, the planet’s gravitational force causes the star to move in a circle around the balance point between the star and planet. The motion of the star causes the observed spectrum to shift to longer and shorter wavelengths at the orbital period of the planet. The amount of the shift provides the mass of the planet relative to that of the star. Combining the mass and size measurements provides the density of a planet. If the density is similar to that of Earth, then the planet is likely to be a rocky planet rather than a gas bag like Jupiter and Saturn. However, to determine the mass, the measurements of the spectrum must be precise to at least 1 part in 100 million! The current state-of-the-art observatories can actually do 1 part in 300 million for stars that are bright enough and have a nearly constant brightness. The light variations that the NASA Kepler mission has observed show us that many planets have very short periods; some shorter than one Earth-day. 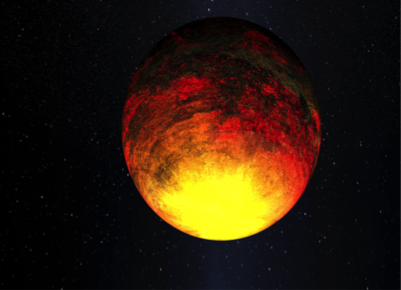 These planets are so hot that some of them must have oceans of molten lava. Working together, ground-based and space-based telescopes have found that some planets are unlike any in our solar system. These planets could be composed mostly of water and for those orbiting in the habitable zone, we can imagine that their oceans, like ours, have a huge variety of life; from diatoms, to fish, to whales. However, planets that are much larger than Earth are not likely to have a solid surface or have an atmosphere similar to Earth. Thus the most interesting planets are small rocky planets in long-period orbits, similar to Earth’s 365-day orbit. Several planetary systems with small planets in the habitable zone have been found, but none are exact analogs of the Earth. For example, Kepler-186f is the size of the Earth and orbits in the habitable zone, but it has a 130 day orbit and the star it orbits is smaller and cooler than our sun. 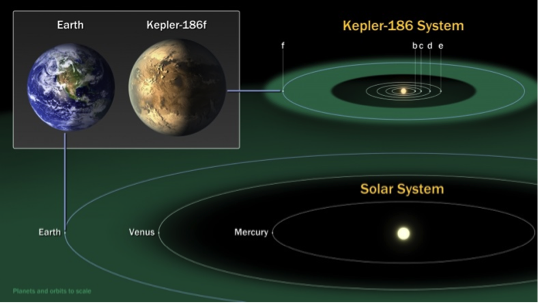 The diagram is a comparison of the habitable zone of the Kepler-186 planetary system with that of our solar-system. The green color marks the region where the heat flux from the star is appropriate for a rocky planet with an atmosphere similar to Earth’s to have liquid water on its surface. The habitable zone around our sun is much larger than that for the Kepler-186 system, but both contain Earth-size planets. Credit: NASA. When future telescopes with very large mirrors and advanced optical systems become available, it should be possible to block out the light from the star and measure the spectrum of an orbiting planet in the habitable zone. Such measurements could determine if the planet has an atmosphere and whether the atmosphere includes bio-friendly gases such as water vapor, carbon dioxide, and oxygen. For even larger telescopes, we will be able to continuously monitor the brightness of light reflected from individual planets. By measuring the hour-to-hour variations, we can determine the length of day and deduce whether the planet has oceans as well as land areas. Seasonal variations of color might be our first evidence of plant life. Light leads the way in the exploration of our galaxy and the search for life. 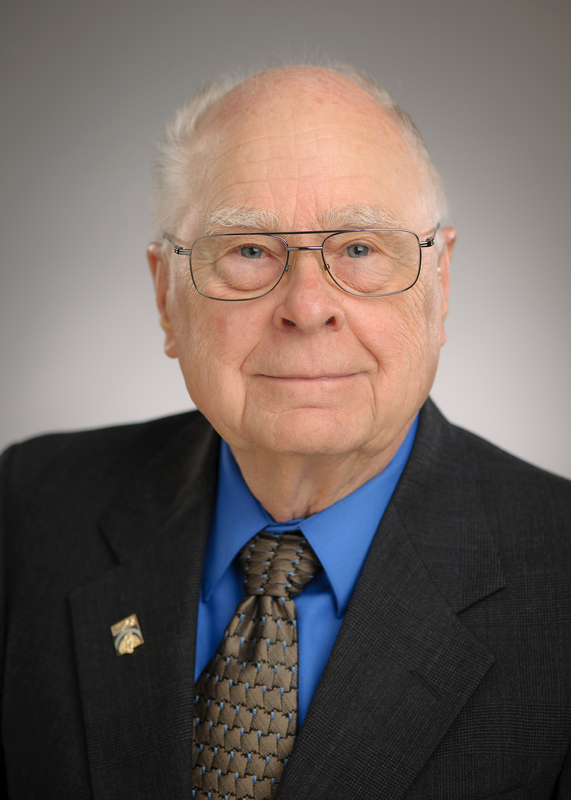 William Borucki is a space scientist at the NASA Ames Research Center in Mountain View, California. He received a MSc in physics from the University of Wisconsin in 1962 and then moved to NASA Ames where he first worked on the development of the heat shield for the Apollo Mission in the Hypersonic Free Flight Branch. After the successful Moon landings, he transferred to the Theoretical Studies Branch where he investigated lightning activity in planetary atmospheres and developed mathematical models to predict the effects of nitric oxides and chlorofluoromethanes on the Earth’s ozone layer. In 1984, he began advocating the development of a space mission that could detect Earth-size planets and determine the frequency of Earth-size planets in the habitable zone of Sun-like stars. In the succeeding years he developed the techniques required to find such small planets and showed that the technology and analysis techniques were sufficiently mature to proceed to flight status. Currently he is the Science Principal Investigator for the Kepler Mission that is designed to determine the frequency of terrestrial planets orbiting in and near the habitable zones of other stars. The Mission uses transit photometry to monitor over 170,000 stars, was launched on March 6, 2009, completed its data acquisition phase in 2013, and is now in the data analysis phase. Based on the first four years of observations, over 1000 planets have been confirmed and an additional 3500 planetary candidates await confirmation. He has received several professional awards, including the prestigious Shaw Prize in Astronomy (June 2015).